I recently completed my Masters Thesis in Public Health, “Investigating adherence to and acceptability of a restricted carbohydrate, higher fat diet in middle-aged women’, through AUT University. This week I graduate in July 2015 with 1st Class Honours. This research has exposed me to a world of LCHF research but in particular has increased my awareness around dietary behaviours and what motivates our food choices and preferences. Furthermore I have an increased understanding of the metabolic health of ‘middle aged’ women. 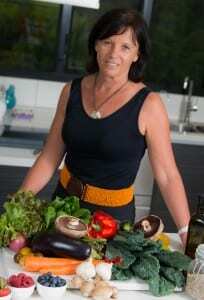 I have a passion for creating low carbohydrate recipes and adapting traditional recipes to fit the low carb agenda. My aim is to make the low carb lifestyle an achievable option for everyone, and to help ‘normal’ to make ‘extraordinary’ changes and improvements in their lives. Many of my recipes are low carb versions of old favourites, however I try to weave new and diverse ingredients into my food. There are a few ingredients that those who are new to the low carb lifestyle will need to stock up on, but as a rule theses recipes utilise whole foods and ingredients that are easily accessed from general food outlets. I do hope you enjoy my recipes and blogs, and if you have made some positive changes to your lifestyle and are enjoying the health benefits, please share your knowledge with those around you. Looking forward to more of this interesting information and more of your recipes via your blog. I try to post regularly and always experimenting with new recipes. I hope you enjoy them! Keep up the great work you are doing Julia. I love your recipes and they are helping me to find my way in this way of eating. Looking forward to your recipes and info you are sharing with us all. Thank you! We just tried your berry strudel. Absolutely beautiful. We are new to LCHF but are really feeling its benefits at the moment. Thank you for being generous with your recipes. Yes this is a real favourite with low carbers and non low carbers! So glad you enjoyed it. Loving your recipes – simple ingredients, good wholesome food! Thank you ?